Ice Blue Leg Cooler gel from Carr Day Martin acts quickly to cool and soothe hot, tired or filled legs. 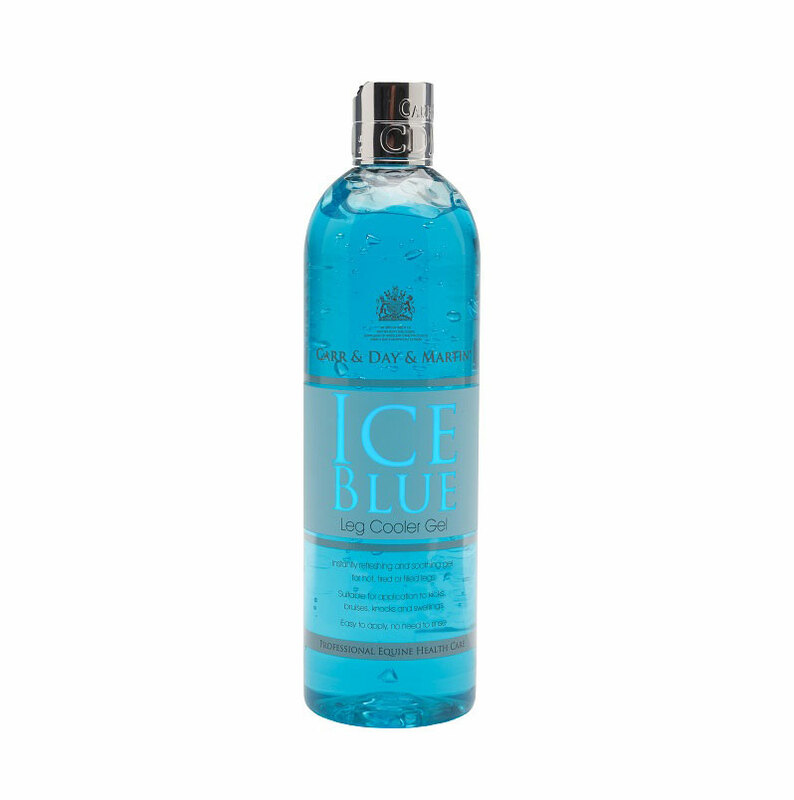 Ice Blue contains premium active ingredients that ensure your horses’ recovery as well as safeguarding against infection. Apply neat to legs (do not use on broken skin) after heavy exercise or work on hard ground can also be used on knocks or kicks to cool and calm. Dilute and use for a refreshing body wash after competition. NOTE. Please allow a withdrawal period of 1-2 weeks if competing under BHA rules.